Universal bipod that clamps directly MIL STD 1913 Picatinny rail. 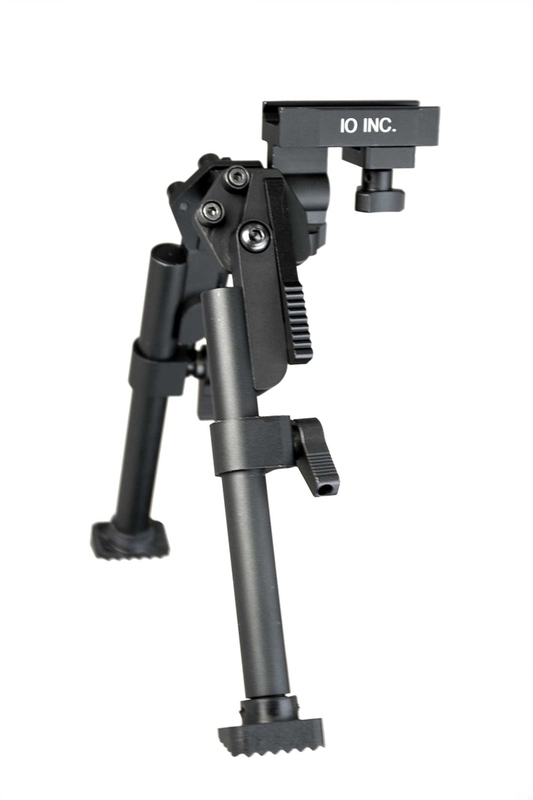 Fully adjustable height from 7” to 10” and features 25 degrees of cant in either direction of center. It has a strong pivot mechanism and features solid lockup whether deployed or collapsed. The textured feet provide a solid hold in varying terrain. Matte black aircraft aluminum with steel fasteners.